Let’s be honest, all of us adventure riders get a little giddy at the thought of spinning that rear wheel into a power slide across dirt roads in some far away land. It’s part of what adventure riders do; it’s one of the essential parts of what makes adventure riding so attractive. But here’s the deal, what many of us adventure riders fail to realize, is that developing your on-road skills is just, if not more important, than ascending to the status of a god-like deity on the trails. Putting things into perspective, a majority of the roads crisscrossing the globe are unpaved and less than maintained. In order to access what they have to offer, off-roading is going to be required. It’s not easy fording a river while balancing a 250kg exploratory vehicle, and to accommodate the ever-expanding adventure riding community, a number of organisations and companies are now offering extensive off-road riding skill courses where riders are encouraged to thrash and bash their ultra-expensive two-wheeled machines in the name of ultimately bolstering off-road riding confidence and competence. 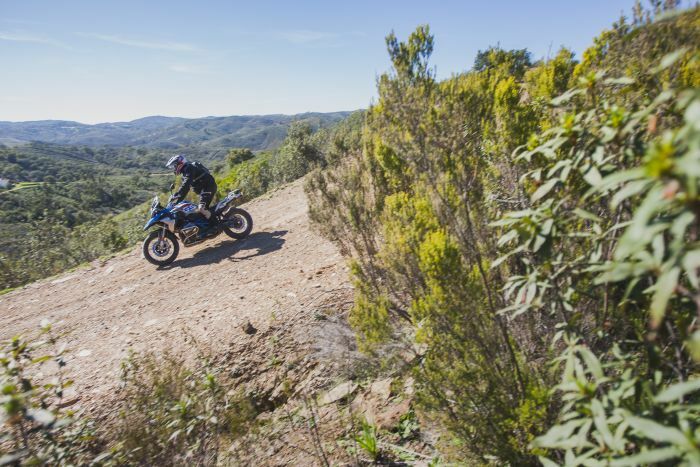 These courses are highly effective, riders can walk into adventure riding clinics with little to no experience of riding a heavy bike in the dirt, and ride out ready to apply for admittance to the Dakar Rally. Well, maybe the first stage of the race. With these skills, riders are afforded the opportunity to expand their ‘home range’ and venture to places beyond the reach of even some of the most capable four-wheel-drive vehicles, and they can now do so with confidence, with significantly increased safety. 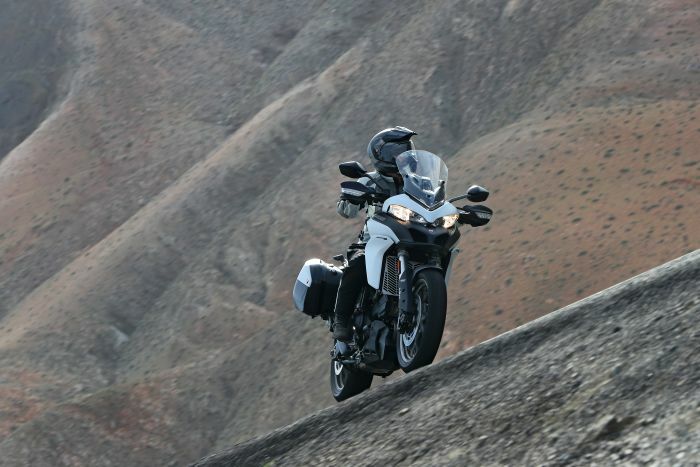 With advances in motorcycle technology, consumers now have access to some of the most intelligent adventure bikes yet. Traction control, ABS, and electronic suspension monitoring now come as standard on a wide range of motorcycles, and there’s even wheelie control technology for those of us with old habits that die hard. These technological features take an element of danger out of riding on pavement, however, this sense of comfort and false confidence can breed complacency in our efforts to remain safe while on the tarmac. When was the last time you practiced rapid emergency stopping? How about emergency braking while incorporating a swerving movement? Have you really thought about the physics of the diminishing friction coefficient your tyres experience as you take a corner? 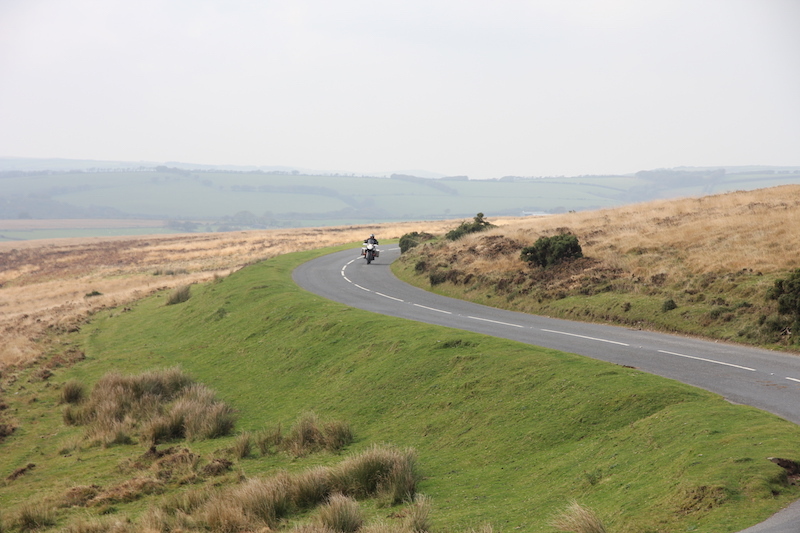 Do you routinely practice identifying ‘escape routes’ or predicting how hypothetical accidents may arise as you ride? These examples are only a small sampling of what a refresher or advanced on-road course offers riders. The topics covered in advanced riding or refresher courses offer, for many, a new perspective on risk avoidance and ultimately act to enhance your riding ability, polishing your already responsible riding style. Over the course of a day, running drills on your adventure bike in a paved lot with cones, lines, and an instructor with a whistle, you’ll ride home with a new respect for the art of motorcycling. In addition, a proper advanced safety or on-road refresher riding course is going to put you in the right frame of mind and mental state for your next ride or trip. The mental state of the rider is just as important, if not the more important in some circumstances, than the technical skills you have. Your brain is going to be what keeps you alive and upright when you encounter less than preferred on-road conditions. When the brain reacts to stimuli, such as a car rapidly braking in front of you, or debris lying in the road, it’s going to revert to its most recent and prevalent memory in a similar situation you experienced. In this scenario, your brain is going to act upon muscle memory and is going to react in the exact same way you have trained. Ultimately, the largest factor in your safety over the course of your adventure depends on you. 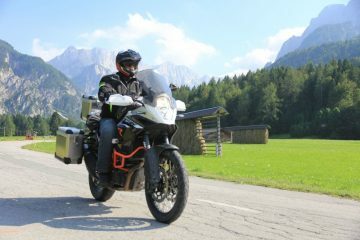 High-tech motorcycling gear produced by big-name companies in the adventure riding world has made huge strides in the protection and safety of the rider, and it would be great to see increased on-road safety emphasised as much as protective gear. I recently met and spoke with a student at an on-road riding course who had spent the last decade racing motocross and was only recently compelled to get his motorcycle lisense. 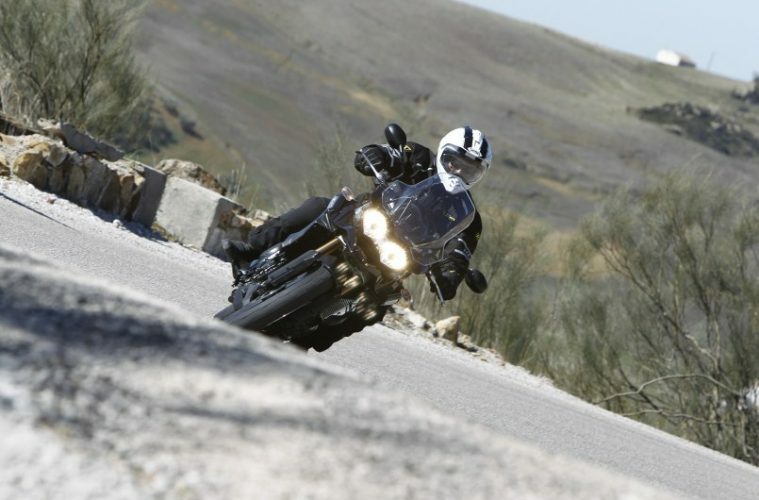 His justification for enrolling in a safety course, as opposed to simply doing jumping straight into his test and passing with flying colours, was simple; he wanted the education and experience provided by a technical motorcycle instructor. While off-road riding provides some of the best motorcycling stimuli, it is inherently static in its environment, that is to say, there aren’t rivers suddenly changing direction, or boulders cutting you off, or fallen trees that come flying at you out of nowhere. On the tarmac, the riding environment is far different, this environment is dynamic. There are vehicles moving and changing their position, there are pedestrians crossing the road, there are construction vehicles with equipment shoddily attached to them traveling in front of you. There are just more variables to worry about on the road. Adventure riders are splitting their time between various riding surfaces, and it can be easy to forget the fundamentals of safe on-road skills and the required heightened mental awareness involved. We all have a desire to explore the unknown and bushwhack our own trails across remote regions, but in order to get there, and more importantly to get back safe, we must sometimes put up with hundreds of miles of pavement, populated metropolitan areas, and heavy road traffic. In order to combat this, we need to remain prudent in our on-road adventure motorcycling practices, and make a collective effort to emphasise and prioritise on-road safety training. Before you load the panniers, set the GPS, and tear off down the road, give an on-road safety course a thought. You’ll be thankful, and your adventures will be enhanced as a result. After obtaining his motorcycle license in a rebellious act at the age of 19, having never sat on a motorcycle prior, Nuhring took off for Alaska from the mainland United States on his first moto trip a mere ten months later. During which time, adventure motorcycling became a lifestyle and philosophy. Now in law school, Nuhring, supplements his limited free time with riding the continental US, wrenching, and writing.